More than 300 big and small lakes and forest tarns in our beautiful nature, are waiting for anglers. In this picturesque scenery you can see trout leaping. 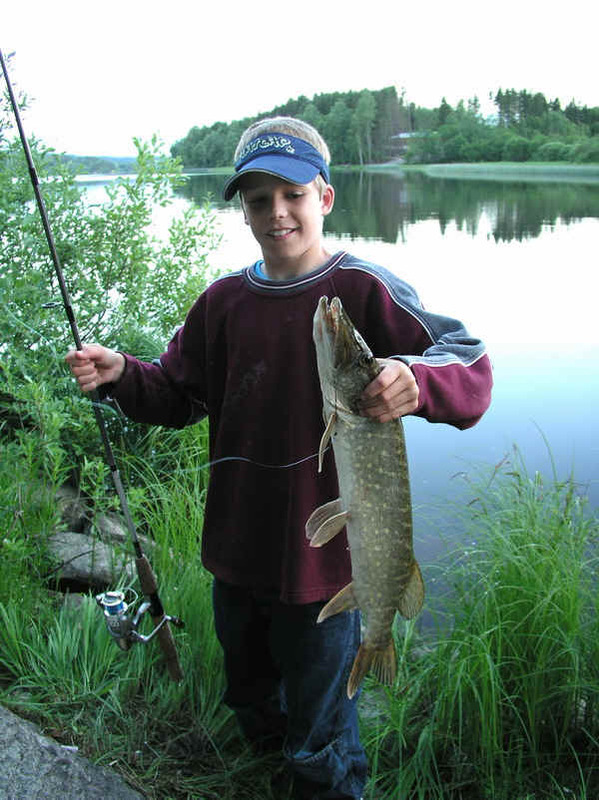 In bigger lakes and waterways there are big pike, perch, different kinds of carps and burbot. In some lakes you can even catch eel. Our big lakes are easily accessible by car, but to reach tarns and small lakes in the forrest, you will have to walk or ride a bike. Driving on some forest truck roads is permitted against a fee. Map booklets are available in different shops and petrol stations where you also can get fishing licence. The map booklet shows in detail the different parts of Aurskog-Høland as well as the different species of fish and where to drive to get to the lakes etc. This booklet is a must if you want to go on an expedition on your own. In three of the lakes you can do fly-fishing only. These lakes are: Nordre-, Midtre Høltjern and Langtjern. Children under 16 years are permitted free angling. • Trout’s smaller than 25 cm you have to release. There is a baglimit of 3 trout pr. day, when 3 fish are killed the fishing must stop. • Please don’t use living bait. • Angling equipment used in lakes with fish diseases must be disinfected. • Fire in the Forest is not permitted between15th April until 15th September. • Keep dogs in leash between 1th April until 20th August. • Be cautious to Nature, and take care not to disturb other visitors. Leave your angling place like you want to find it your self. Opening hrs: 10.00 - 14.00 all days. Go to: www.inatur.no and follow the instruction. Sorry only Norwegian.